A torn earlobe can result from trauma or other injury and surgical earlobe repair may be needed. The most common cause tends to be wearing heavy earrings persistently. Over time, the weight of the earring stretches the piercing hole into a slit, and eventually can pull all the way through the bottom of the earlobe. Earlobe repair will allow the patient to return to wearing earrings. Earlobe repair involves using fine sutures to meticulously reapproximate the split ends of the earlobe. After repair it takes time for the earlobe to regain enough strength to support earrings again. This typically takes 8 weeks. Once healed, Dr. Chen will repierce the earlobe to allow you to wear earrings again. 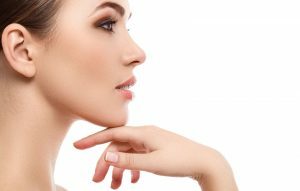 Beverly Hills Earlobe repair is performed to treat a wide variety of cosmetic earlobe irregularities which may include stretched, torn or elongated earlobes. When it comes to a torn earlobe due to the continued use of heavy earrings, it is possible to repair earlobe piercings that have been stretched or split. 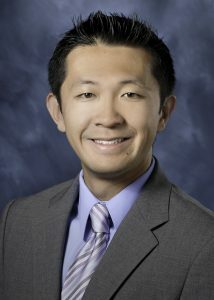 Dr. Henry Chen, M.D. is a double board certified facial plastic and reconstructive surgeon that specializes in all aspects of cosmetic and reconstructive surgery of the head and neck, including professional Beverly Hills earlobe repair surgery. During your earlobe repair surgery at Dr. Chen’s practice in Beverly Hills he will repair the edges of the split earlobe by first trimming the edges of the split itself, and then repairing them with a special stitching pattern that minimizes the chances of unsightly scarring. Sutures are put in place that may be removed in as little as one week, with earlobes being able to be re-pierced after a few months of healing.